For vectors, Get Maximum in Set returns the vector with the longest length. 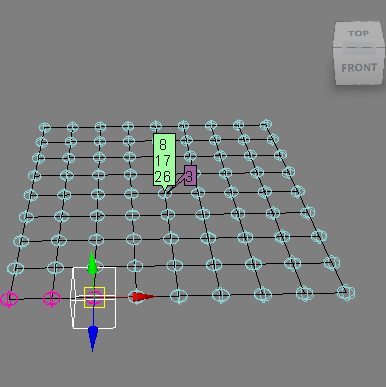 For example, suppose you want to find the “highest” point on a mesh. You would not use Get Maximum in Set, because that gives you the point that is furthest away from the local origin. 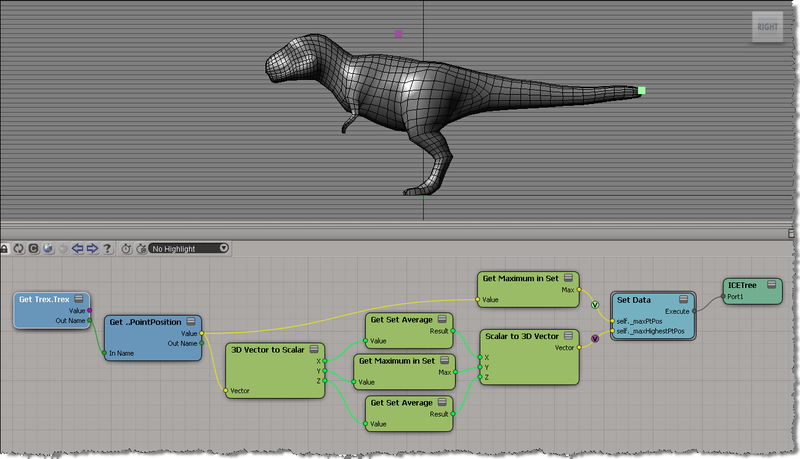 On a T-Rex mesh, you’d get the point at the end of the tail. When you’re working with a point cloud, and you want to keep some data on a per-object basis, you need to use one of the Set nodes (like Get Set Or or Get Maximum in Set). 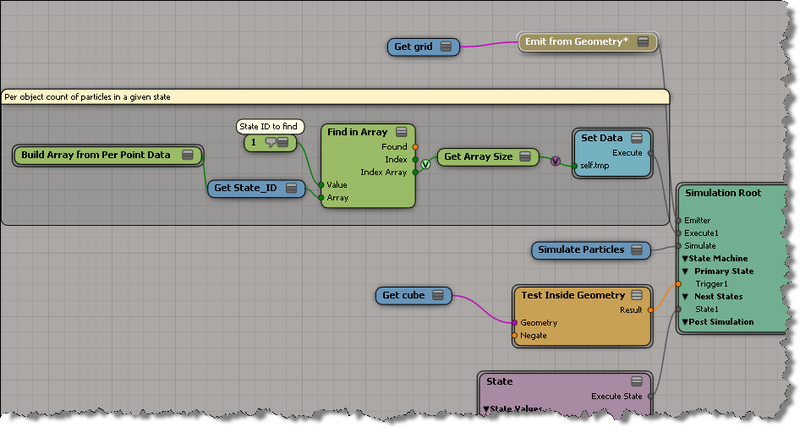 Or sometimes you can use arrays, as shown below. Here we get an array of the points that are in State 1, and then save the size of the array (eg the number of points in State 1) as a per-object value.